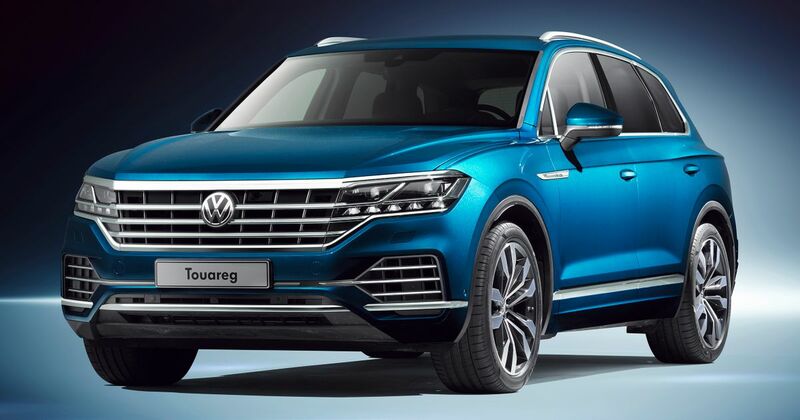 Volkswagen has revealed the new, third-generation Touareg at the Beijing Motor Show. 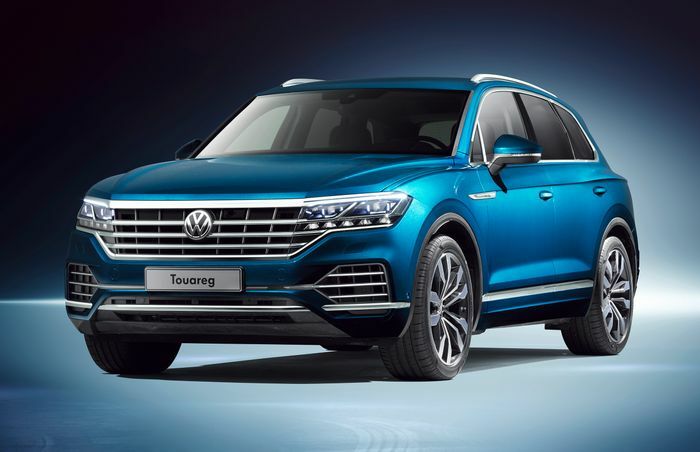 The brand’s latest flagship SUV and new technological standard-bearer has arrived, following a teaser last month. Just check out that massive media screen, which will come either as standard on high-spec models or as an option. Called the Innovision Cockpit when combined with a 12-inch instrument display, it measures 15 inches diagonally corner-to-corner and it looks gargantuan on the centre console. Unfortunately, it does mean that the heating and air movement controls have migrated over to the screen. Anyone who’s ever tried to turn the fan up two notches and the temperature down a couple of degrees on a screen-based system, while driving on a typical bumpy road, will know what an infuriating setup it can be. It allows for a much more user-customisable cabin, prioritising the apps you use most or want to have at your fingertips. It’s on permanently and has split-screen functionality. 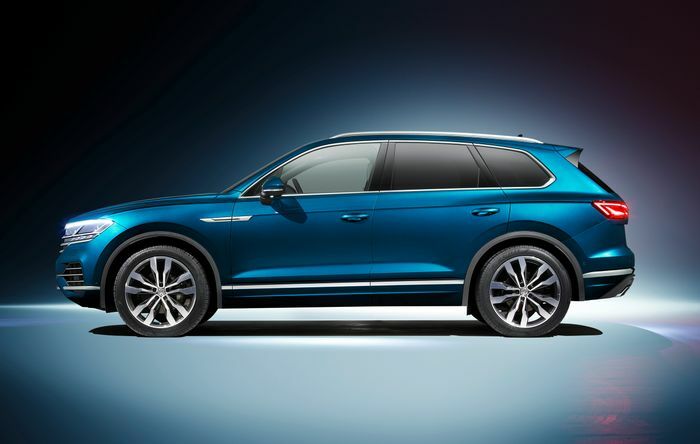 LED matrix headlights, a head-up display and active all-wheel steering – already seen elsewhere in the Volkswagen Group – are other tech highlights. 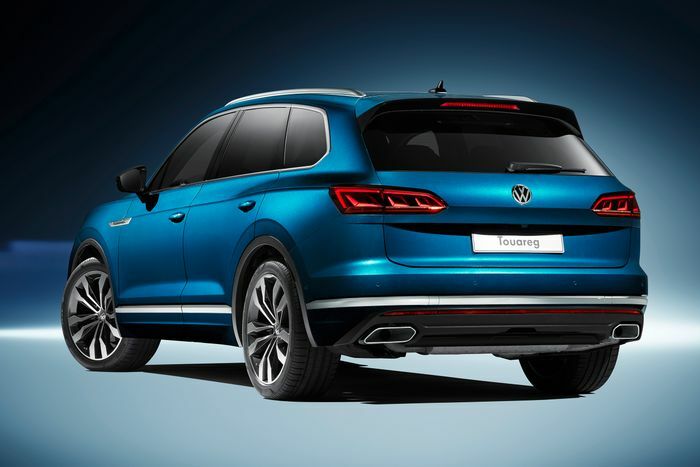 The boot of the longer, wider Touareg is biblically large. Seriously, you could lose your children in there. 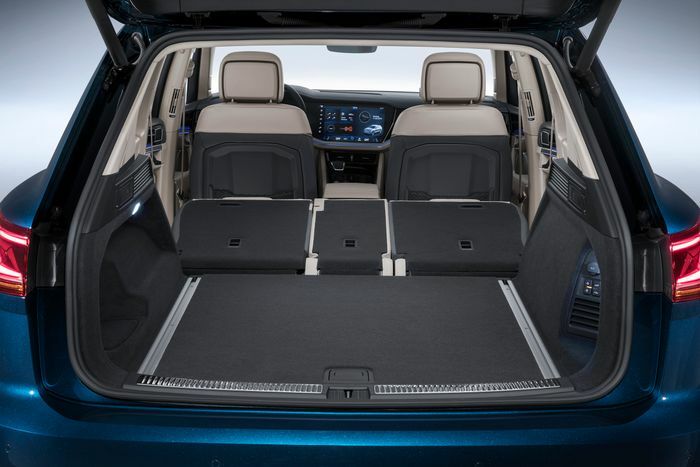 Luggage space with the rear seats in place is 810 litres, up from 697. For context, a Skoda Superb Estate, which itself has a stupidly big boot, makes do with 660 litres. Some 106kg have been chopped out of the body. Now 48 per cent aluminium and 52 per cent high-tensile steels, it helpfully makes room for all the extra tech features. We’ve no details yet on how much lighter the new car is overall than its predecessor. Air suspension is present, correct but sadly not standard across the board. Its ride height and behaviour changes according to the selected driving mode. There’s Normal, Comfort, the 25mm-raised Off Road and the ‘oh balls, I’ve grounded on a tree stump’ mode, which lifts the car to 70mm above normal. Above about 75mph the suspension automatically lowers by up to 25mm, but you can select a Loading mode when stationary that drops it by 40mm so that it’s easier to… well, you get the idea. Also useful is a wading depth of up to 570mm depending on suspension mode. Trailer assist helps avoid most of the complications associated with reversing trailers and caravans, but the Night Vision option is more interesting. It shows living things in colour against a black and white background; either green or red depending on the level of risk they pose.